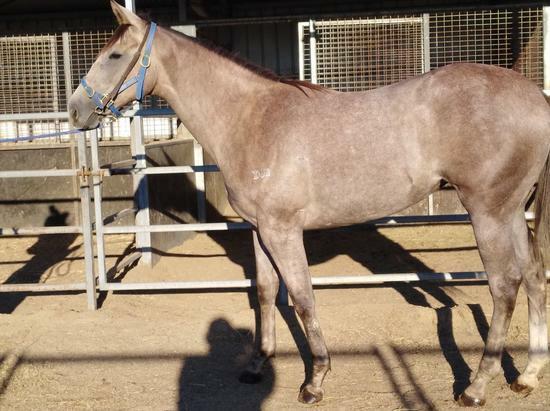 PUISSANCE DE LUNE (IRE) (Grey 2008-Stud 2015). 8 wins from 1400m to 2600m, €18,200, A$874,663, VRC Blamey S., Gr.2, MRC PB Lawrence S., Gr.2, VRC Queen Elizabeth S., Gr.3, Bendigo Cup, L, 2d VRC Makybe Diva S., Gr.1, Turnbull S., Gr.1, 3d VRC Makybe Diva S., Gr.1, MRC Memsie S., Gr.1. Half-brother to SW Zabeel Prince (Doncaster Mile, L) and to the dam of SW Rizeena. His oldest progeny are 2YOs. Phoenix Star (f. by Reward for Effort). Winner at 1400m in Aust. Dongbangui Gieok (c. by Reward for Effort). Placed to 2019 in Korea. RICHIE MCHORSE (Redoute's Choice). 5 wins from 1600m to 2200m, NZ$135,020, to 2017-18, Hawke's Bay Cup, L, ARC Crombie Lockwood H., Waikato RC Dunstan Feeds H., 2d ARC Vector Wero Whitewater Park H., Shocking at Rich Hill Stud H., Waikato RC Snell Packaging & Safety H., BOP RC Bay of Plenty Cup, 3d ARC Swiss Deli H.
Heliosphere. 3 wins-1 at 2-at 1200m, 1600m, A$78,950, S$91,160, to 2019, ATC Pro Rata Membership Sale 2YO H., Singapore TC Kranji S., Class 4 H., 2d ATC Theraces P., 3d ATC Pro Rata Membership 2YO H., Owners Benefit Card H., Singapore TC Kranji S., Kranji S.
Nothing Lika Tango (Dance Floor). 5 wins-1 at 2-at 1200m, 1400m, Waikato RC John Walker Printers 3YO H., Avondale JC Majestic Horse Floats H., Tricia Clark Memorial H., 2d CJC Winter Cup, Gr.3, ARC TV Guide 3YO H., BOP RC Todd & Pollock Haulage H., 3d ARC Lindauer Fraise H., 4th BOP RC Thames Valley S., Gr.3, CJC Winter Classic S.H., L.
Our Dance (Dance Floor). Winner at 2, 2d Whangarei RC Northland Breeders' S., L, ARC Soviet Star Juvenile H., 3d Levin RC Ryder S., L.
Dan's Best. 5 wins from 1200m to 2000m, Counties RC Pukekohe Waiuku Veterinary Centre H., 2d ARC Castles Marquee & Event Hire H., Bladerunner 2YO H., Stella Artois H., Waikato RC Eye on Racing H., 3d ARC Ezgo Golf Cart Rentals H., BOP RC Wealleans Petroleum H., Matamata RC Mitre 10 H.
ZERO LIMIT (Star Way). 8 wins from 1200m to 2400m, A$243,440, QTC Easter Cup, L, Thai Airways International H., L, VATC Orrong H., 2d VRC St Leger, Gr.3, BTC Chairman's H., Gr.3, 3d VATC Herbert Power S., Gr.2, Toowoomba Cup, L.
TWINKLING (Star Way). 5 wins-1 at 2-from 1200m to 2200m, NZ$221,175, ARC Guineas Trial, L, Cornwall H., L, Great Northern Foal S., L, 2d Counties Cup, Gr.2, ARC Lindauer S., Gr.3, 3d ARC Championship S., Gr.2, Royal S., Gr.2. Producer. Dawn Patrol (Dawn Approach). 2 wins at 1200m, 1400m, NZ$137,075, in 2018-19, Matamata RC Fairview Motors Matamata H., 2d New Zealand Two Thousand Guineas, Gr.1, ARC Uncle Remus S., L, 3d Wellington Guineas, Gr.2. VEYRON (Thorn Park). 15 wins from 1200m to 2000m, NZ$970,875, A$145,700, ARC Easter H., Gr.1-twice, Zabeel Classic, Gr.1, Waikato Draught Sprint, Gr.1, Otaki Maori RC WFA S., Gr.1, ATC Warwick S., Gr.2, ARC Eagle Technology S., Gr.3, Waikato RC White Bros Panelworks & Truck Services H., ARC New Zealand Herald H., 2d ARC Zabeel Classic, Gr.1, New Zealand S., Gr.1-twice, Otaki Maori RC WFA S., Gr.1, ARC Eagle Technology S., Gr.3, BOP RC Tauranga S., Gr.3, 3d ATC George Main S., Gr.1, Rotorua RC Lion Red P., L.